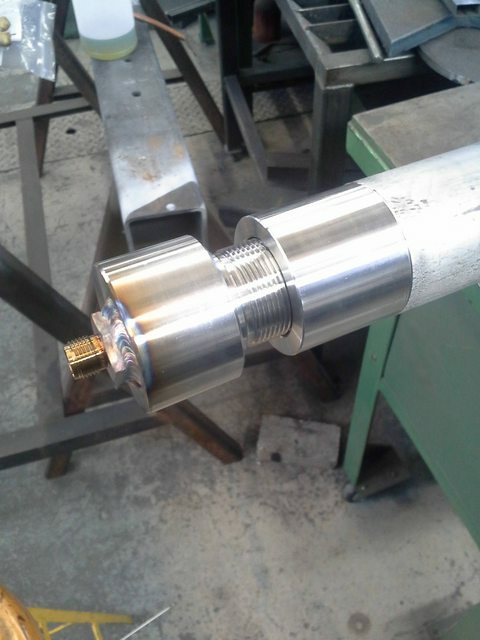 Here is a simple pressure chamber I put together at work. It is for long term aging of metallic samples at 1800F and 3800 psi in a pure CO2 environment for 6 months to 2 yrs. 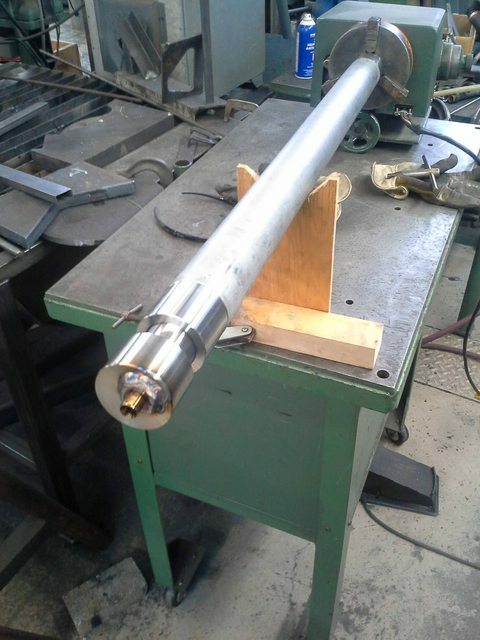 The main tube is a piece of 2" sch 160 347 stainless pipe. 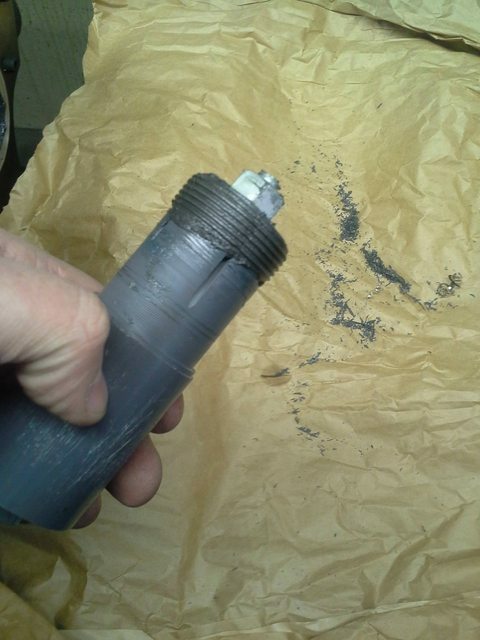 All parts are 347SS to prevent dissimilar material corrosion. The pressure load is taken by the tread. The welds only serve to seal. Setting up a cathead to run in the steady. 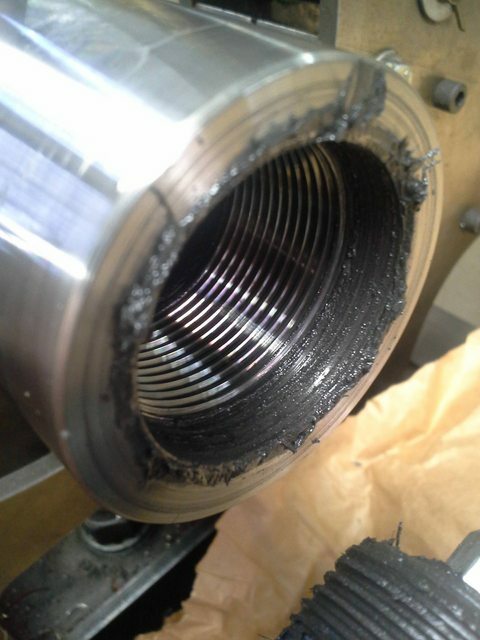 Pipe is too rough and not round enough to run directly. First cut thread. It is 1 5/8-12 oddball custom. Threads were lapped for smoothness because the user plans to remove and re-install the ends. I believe the threads will weld and gall and be unusable again. PVC thread lap. Used 220 SC grit and grease to lap. Not pretty, but it lasted plenty long enough. My birdschit weld weave cap. 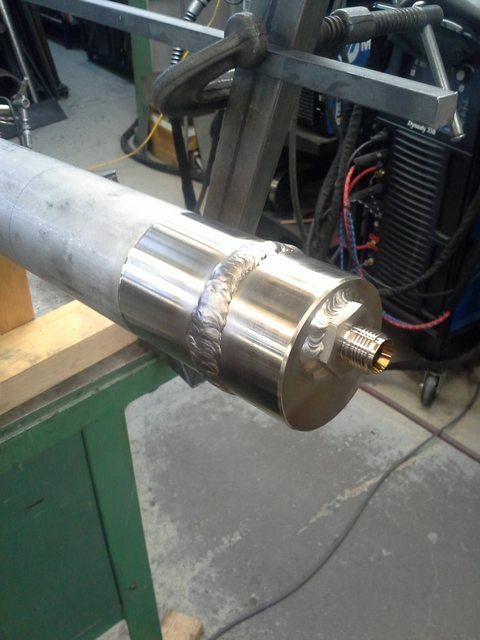 Two pass welded with 347 filler. It had a nasty gummy puddle that wouldn't flow well. 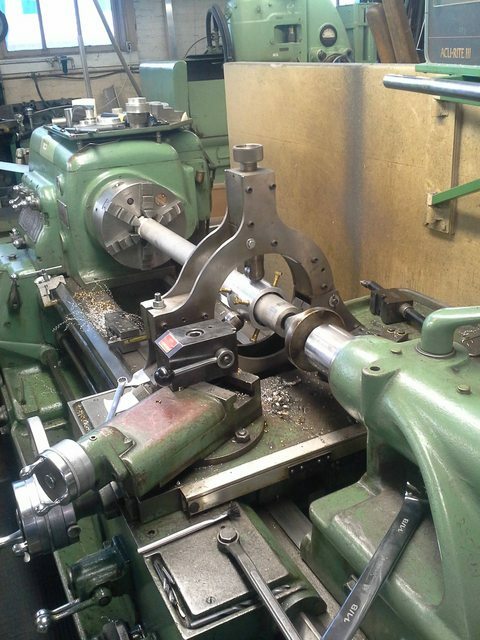 That's some steady there on the positioner, the one on the lathe is not bad also. 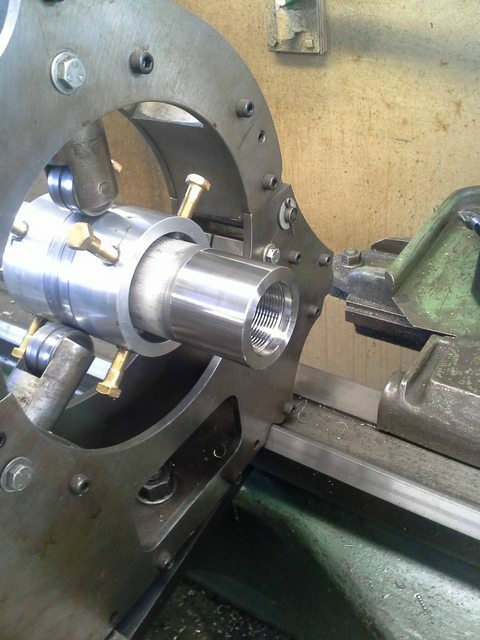 Thanks for posting the machining, enjoy seeing big heavy duty machines.